Why do you need to take a first aid course? Many deaths are prevented every year due to the administration of life-saving first aid treatment whilst waiting for the emergency services to arrive. But why should you look into brushing up on your own first aid skills? Having some level of first aid training under your belt is important for many reasons. You can take a first aid course related to your career, or take a more generic course such as CPR training or First Aid at Work. According to the British Heart Foundation, just 8% of patients survive a cardiac arrest in England, and less than half (30-40%) of bystanders intervene when they witness someone collapse. Their 2016 report ‘Resuscitation to Recovery’ claims that bystander intervention through CPR can treble the chances of survival, and we think that’s a pretty amazing stat. Would you know what to do if you came across someone who wasn’t breathing? Knowing how to carry out CPR can literally save someone’s life in this situation. 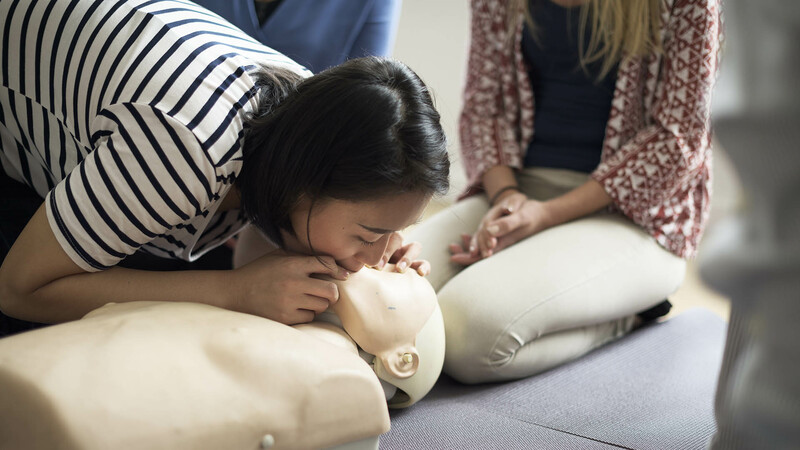 Take a first aid course and you’ll no longer be a bystander, but someone able to take action! An accident can happen at any time. First aid training is essential in giving you a bank of knowledge to be used at a moments’ notice. You could be shopping, at home, at work, anywhere, and as we’ve already learnt, time is often critical when life-saving first aid treatment is required. It’s useful to have some level of first aid knowledge so that you’re able to help when you see someone in need. It may not be a life or death situation, but you’ll be in a better position to take the necessary steps needed until professional help arrives. You could be helping a complete stranger with your first aid skills, but it’s also a very real possibility that a loved one could fall ill or have an accident while you’re with them at home. You spend more time with your friends or family than anyone else, so you’re more likely to need to help someone you know than someone you don’t. If there’s ever a situation where you’d want to have the knowledge to react in an emergency, it’s this one. In some cases being first aid trained improves your employability prospects, and for some jobs, it is a compulsory requirement. Whatever your job or situation, having a trained first aider in the workplace is essential. Wherever you work, you could come into contact with a person who needs your first aid skills. There are several courses you could look into to add to your skillset, including those specifically for working with children and infants. As a trained first aider, you could be helping with anything from bandaging a cut to supporting someone having an anaphylactic reaction. Whatever it is, first aid training ensures you can be confident in your own ability to help a person in need. With over 20 years of practical experience, our NUCO First Aid course instructor, Sarah, delivers friendly, refreshing and informative training. We deliver most of our first aid courses from our studio in Lancaster City Centre. For group bookings, we offer discounts. Where possible we can also deliver group training at the venue of your choice. Take a look at our courses, or simply get in touch by using the form below, by emailing or calling us on 01524 389616.